Facial wrinkles, whether due to age or sun damage, can make you look older than you are. While creams and serums advertised on TV or in magazines all claim to reduce wrinkles, they rarely turn back the clock as much as we’d like. 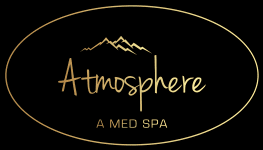 Atmosphere Med Spa in Boise, Idaho offers laser skin resurfacing treatments that truly work. Call or make an appointment online today to look as young as you feel. How does skin resurfacing treatment reduce wrinkles? Skin resurfacing with the ICON™ laser is the best way to treat wrinkles from below the surface and tighten skin without surgery. The ICON fractional laser emits tiny laser energy micro beams to your facial tissue that safely target the layer of skin below the surface. Your body’s natural healing process stimulates the production of collagen, which plumps and tightens your skin, minimizing wrinkles. Most sessions don’t last longer than an hour. Your provider customizes your treatment plan based on your desired results and the depth of the lines or wrinkles you want to remove. Since it uses your body’s collagen to fill in lines and wrinkles, treatment with the ICON laser system looks completely natural. Skin resurfacing with the ICON laser can reduce the appearance of fine lines and wrinkles after just one treatment; however, new collagen production takes about six weeks and can continue for at least six months after your last treatment. A minimum of three treatments is recommended, each scheduled 4-6 weeks apart. The ICON laser has cooling technology built into the applicator, but you may feel some mild discomfort. Your expert at Atmosphere Med Spa can provide a topical anesthetic if needed and delivers cold packs immediately after treatment to keep you comfortable. What can I expect after treatment with the ICON laser? You can usually return to work immediately after the procedure. You can cover any redness with makeup, if necessary, which won’t have any impact on your results. Most men and women don’t experience any pain after treatment, but you can apply cold compresses if you feel any discomfort. It’s important to keep the treatment areas moisturized and avoid any sun exposure. As a precaution, wear sunscreen with an SPF of 30 or more during the healing phase. Also, avoid sleeping on the treatment area for a few days to prevent swelling. Let the professionals at Atmosphere Med Spa in Boise, Idaho give you a youthful appearance by reducing the appearance of wrinkles and fine lines using laser skin resurfacing. Call or make an appointment online today so you can put your best face forward.